We offer a range of different automatic door types, from revolving doors and sliding doors to DDA compliant swing open pass doors. 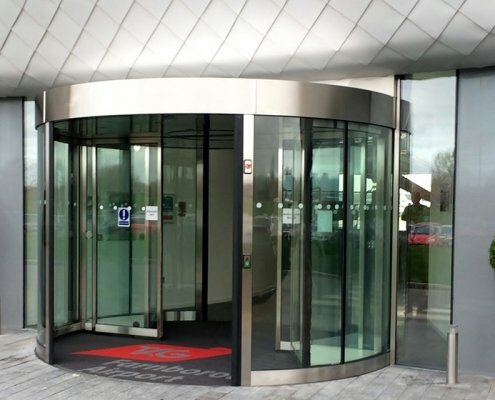 Automatic revolving doors offer many attributes to a building other than enhancing appearance. 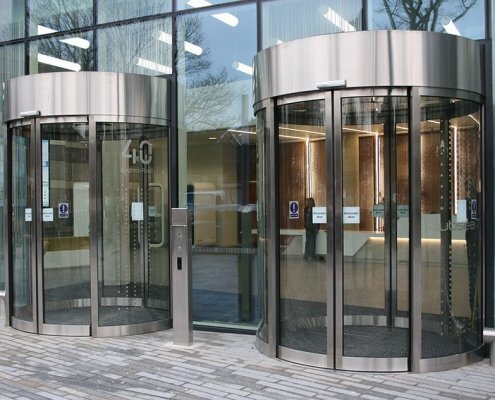 Most importantly revolving doors increase energy efficiency by controlling exchanging airflow, and assist in people flow. 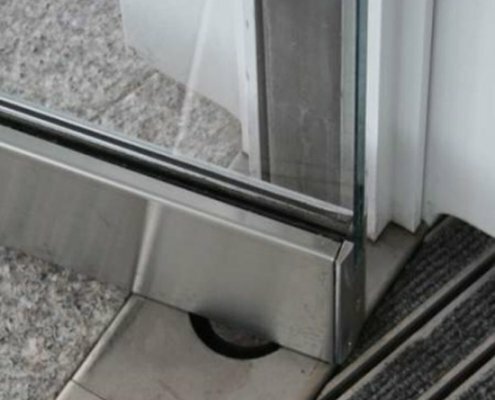 Automatic sliding doors are ideal for efficiency improving traffic flow. We supply, install and maintain sliding door solutions for many different applications, either externally to a building or internally. Single swing doors with push button control or multiple swing automatic doors with access control systems. We supply and install a range of different DDA compliant automatic swing door operators.